If you want to take advantage of all of the resources that are out there, you should definitely consider starting up a search engine marketing campaign. 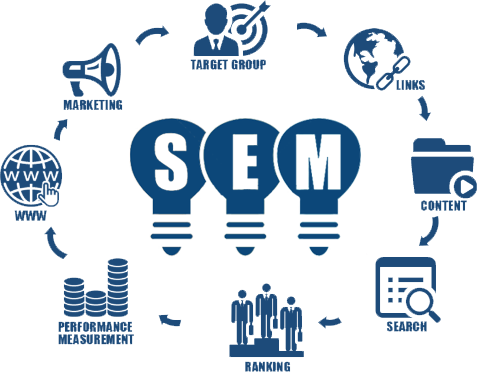 Search engine marketing is highly effective for bringing in well-targeted traffic, and the most popular search engines offer a lot of options for promoting your site. These are three successful search engine marketing techniques that you should try if you want to bring the maximum amount of traffic to your website. If you haven’t started your search engine optimization campaign yet, you need to get started right away! Search engine optimization is one of the most cost-effective and best ways of driving traffic to your site. Basically, SEO refers to making your website so that it is easier for people to find it when they use their favorite major search engines. It is done by using keywords, creating content, building several high-quality backlinks and following other steps so that search engine spiders can find your site and so that the search engines will rank you high on the list when people type certain keywords into them. This can be a long and time-consuming process, but it is worthwhile in the end. There are also plenty of ways you can improve your SEO and compete with big guys. Many search engines offer multiple options for advertising. These advertising campaigns are often more affordable than other advertising options, and they can help you reach a large, well-targeted audience. For example, you can try getting listed on the sponsored results; this will help your site appear where people can find it while you’re working on your search engine optimization campaign. You can also get listed on ads both on the search engine and on other peoples’ websites. With these types of advertisements, you can often opt for plans that only charge you if your ad gets clicked on. This means that you won’t have to pay unless you actually bring people to your site, and these people are generally already looking for things similar to what you offer, which means that these types of advertisements can carry a high conversion rate. Different major search engines offer different types of directories, but all of them can work well for bringing in natural traffic from people who are looking for products, services and information like what you offer. For example, you can get listed in a local business directory through your search engine so that people will find your site when they’re looking for certain types of businesses in your area. In many cases, listing on these directories is free, so it’s a wonderful way of bringing in traffic without having to spend a lot of money. Search engines make it easy to market your website with their multiple advertising and promotion options, so take advantage of search engine marketing today if you want to start seeing an increase in traffic. There are even search engine marketing companies out there that know how to take advantage of all of these resources and that can help you build a strong marketing campaign.